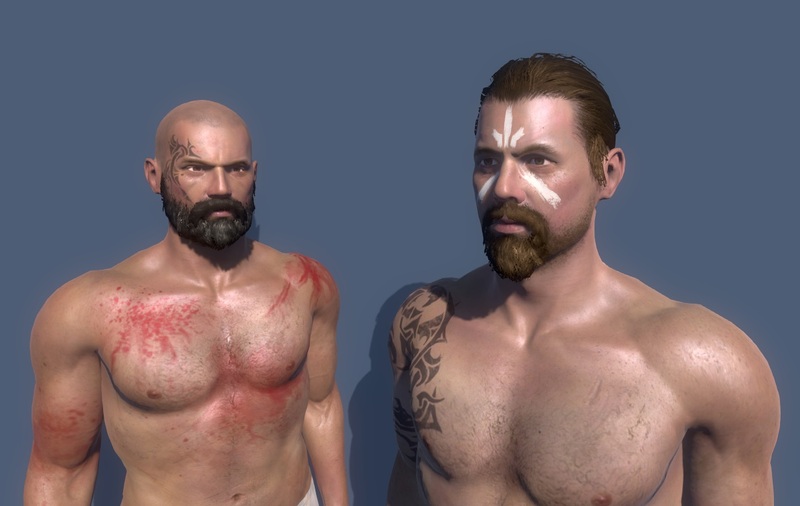 Gloria Victis – first image of new characters models. Today’s update introduces redesign of NPC guards who protect player-run settlements. Thanks to this change capturing and holding locations closer to nation’s main town will be easier, while controlling distant towns and castles will become harder. We have also redesigned content of chests placed in the world, so they will be more rewarding and better fitting to locations where they can be found. On the other hand, we have added new waterside location placed South of Mereley – fishing village with a camp of castaways located nearby. We are going to add a bunch of new events here soon, so new players will be properly guided through their first hours in the world of Gloria Victis. The same is going to happen on Dunfen peninsula as well. The update also introduces numerous minor fixes and improvmenets, such as tweaks done to global events and user interface. Moreover, we hope that you love the look of our new model of character which will come soon with reworked character creation system! It will allow you to select basic archetype of your character by answering to a short series of questions. We are also close to finish the first version of Glory system, which will expand the reputation system. You will be able to compete in complex rankings. counting in like every single action taken in the Gloria Victis world. Climbing up the rank tables will be rewarded with numerous precious rewards and personal titles, which will be unique for each season.